I love eating a boiled sweet potato. It reminded me of home, of a happy childhood that I had. 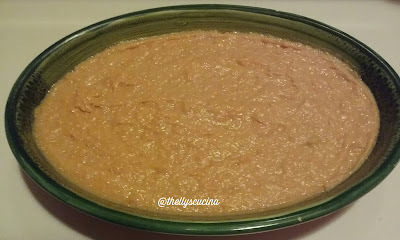 The boiled sweet potato was one of the childhood snacks that my late mother served when my siblings and I were small. It became one of my comfort food. Last week, my hubby bought me 2 huge sweet potatoes. I love them and boiled them for my dinner. As always my eyes were bigger than my mouth. Just a boiled sweet potato made me full so, one was left for the next day. That next day, I was not craving for sweet boiled potato. I put this in the fridge and I was thinking what I could do not to waste it because surely I would forget this in the fridge until it would be rotten spoiled. Last night at 11 in the evening, I was searching in my fridge what to go with the leftover boiled sweet potato. I still had an opened can of condensed milk, a leftover from making cake pops last week. 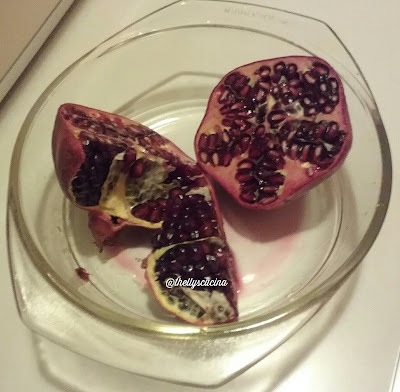 On my fruit stand was a wrinkled pomegranate waiting for me to be eaten. 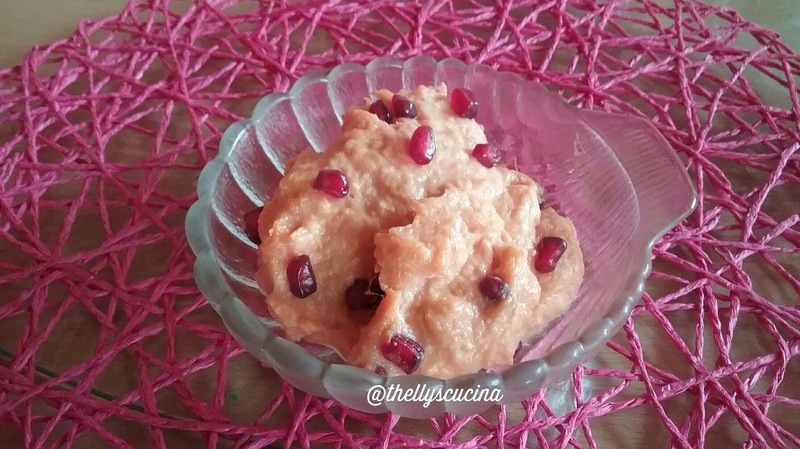 I thought, "well then, let´s get started," and I searched my baking flavouring what taste I could add in this recipe. I found vanilla, cherry liqour, orange and rum flavouring but I thought vanilla was a good combination for my new dessert. 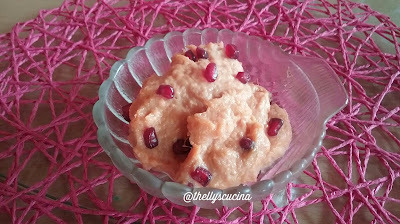 Below is the step by step on how to make sweet potato dessert decorated with pomegranate fruits. 1. 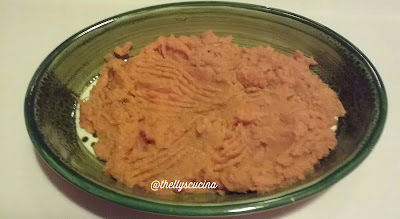 Put the mashed sweet potato in a bowl or in a deep plate. 2. 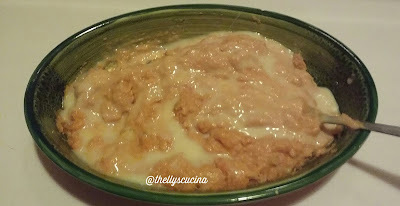 Add the condensed milk. Mix it with the sweet potato. 3. Add the softened butter and the vanilla flavouring. Mix well. 3. Decorate the top with pomegranate fruits. Cover it with cellophane and put in the fridge for at least 2 hours or overnight. If you feel bored eating the same food, be creative just like I did with my boiled sweet potato. 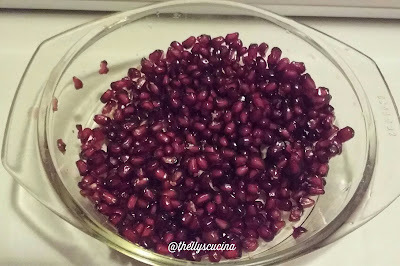 If you don´t have pomegranate in your country, you can use another fruit for the topping. Like mango. You can serve this with ice cream or with a dollop of double cream. Thanks for reading. Please feel free to comment and share this dessert to your social media sites. God bless. I have to try this - I am not a huge sweet potato fan but perhaps this will turn the course! Thank you Scotts. Maybe you will like this sweet potato recipe. I hope. Have a nice new week ahead. Oh my this sounds delicious and I can't wait to try it. Pinned so that I can find easily. 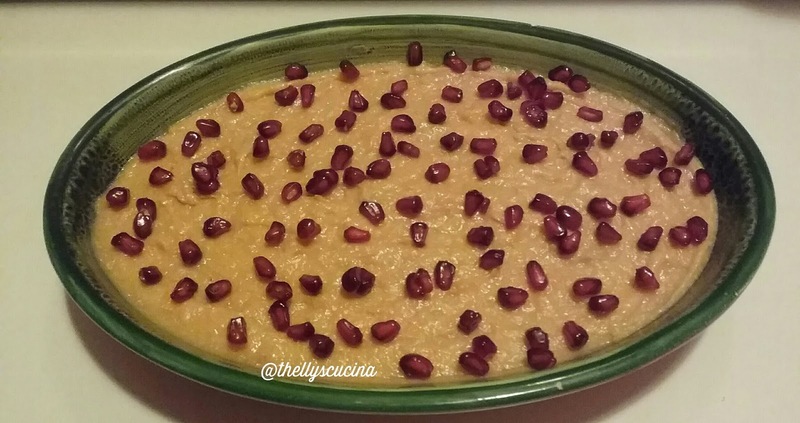 Yes, it is a delicious sweet potato dessert recipe Susan. I hope you will like it. Thanks for pinning. This really sounds like a great dessert. I might even try your sweet potato and pomegranate recipe warmed as a dinner side dish to accompany turkey or pork. I have tried this eating warm and it was good. Thanks for stopping by Ruth. Have a great new week.